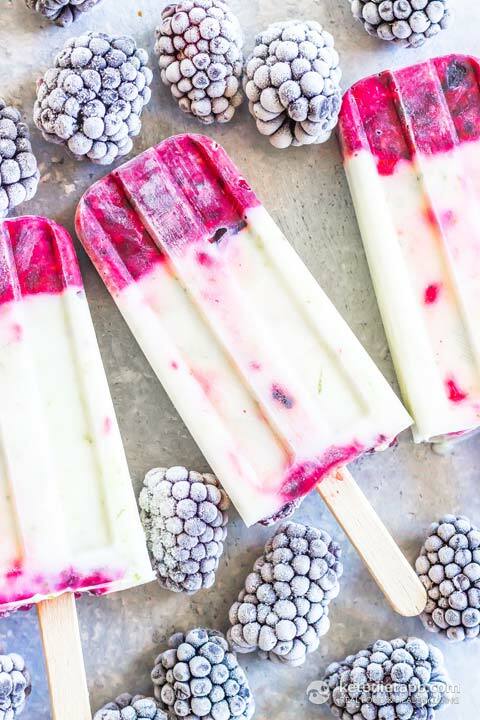 These roasted berry popsicles are a great sweetener free keto dessert. Roasting the berries enhances the flavor while yogurt combined with lime add a refreshing zing - no sweeteners needed! 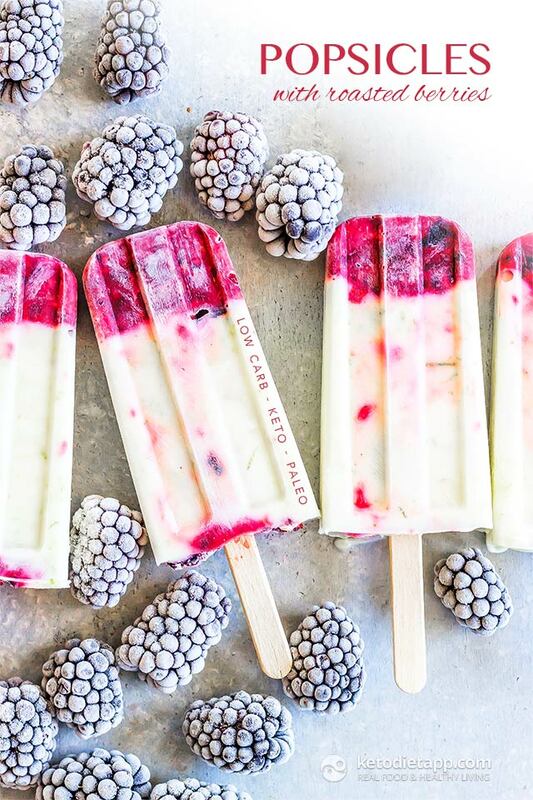 With just 5 ingredients: berries, yogurt, lime zest + juice, and vanilla you simply can’t go wrong. 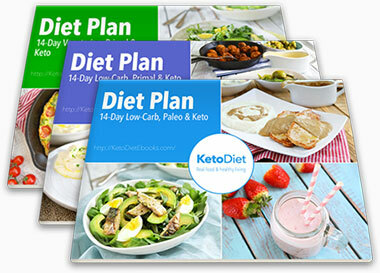 If you can&apos;t eat dairy, substitute the full-fat Greek yogurt with coconut yogurt or coconut cream. Preheat oven to 190 °C/ 375 °F and place the berries on a baking sheet. Roast for 10 minutes until they start to caramelize. 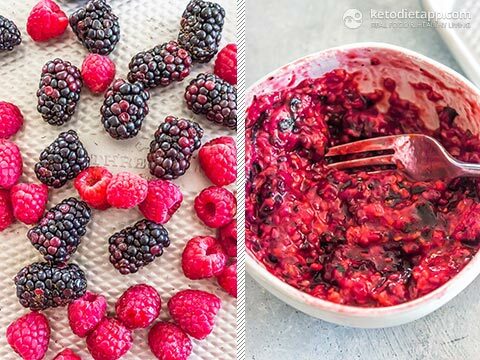 Place the berries in a bowl and mash. In a small bowl mix together the yogurt, vanilla, lime zest, and lime juice. 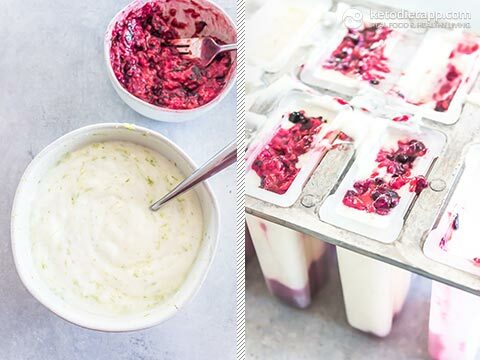 Divide half of the berry mixture into 8 popsicle molds (approx 3 oz/ 90 ml each), top with yogurt mixture, the top with the remaining berry mixture. Freeze popsicles for 3-4 hours or until solid. Store in the freezer for up to 3 months. 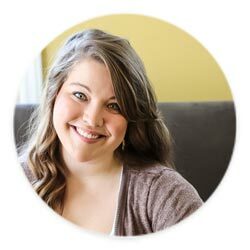 What are the kcal’s per pop?